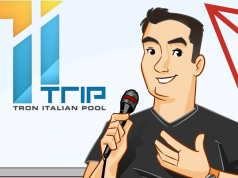 Hi YuanYuan, I’m Jason from TronLive. Can you give us a brief introduction of yourself and let us know what you do in the TronOne? My name is Zhu YuanYuan, the founder of TronOne. Also known as Dreams from TRON. The dream of our community is to make everyone has free will. Free will is we learn from Justin’s’ book and TRON’s culture. We believed young people in China need this to do themselves and make themselves an idol. Self-discovery, self-construction is the most important to everyone in the whole life, once find yourself, you will be best of yourself, and it’s your value in the world. We see that you have submitted a lot of event photos and looks like you are giving a lot of talks. YuanYuan, can you let us know more about what you do and how you started in the blockchain field? I am a KOL and Independent Investor. I have a column in China’s biggest audio platform, to share development of the Blockchain. And I started from this, cause I want to keep myself update and learn every day, so I keep myself share every day. One of TronOne’s main goal is equality, can you elaborate on what equality is your team stressing on? The equality we stress on is everyone has the right to Expressing Opinions, and to live the way he/her like. Why did Dreams from Tron decide to join TRON SR? There are 2 simple reasons. 1. We like Tron, the culture, and the Common Value. 2. TRON SR is a good social practice in blockchain. We want to do something for blockchain and make our value in this field. What can Dreams from TRON do specifically to help the growth of TRON, do you anything planned up yet? Yes, we have some planning. 3. 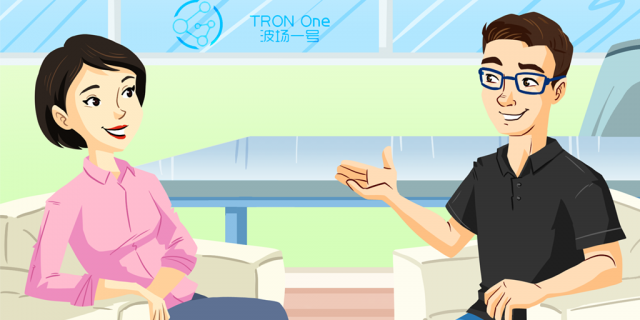 We are based in SZ, close to HK, close to Tencent, close to Qianhai Free Trade Area, there are a lot of young people to start-up business and a lot of developers, we will convince them to develop DApps on Tron. Start a business on Tron, and realize the dream on Tron. 4. We hope to see ecosystem blooming of the Tron, and we want to push it and being a witness. 5. We see that you have some community activities plan on your website. Is this a local event in China or are you likely to host events in other countries as well? Yes, until now they are based in China, different cities. Right now we still not have events at over seaside. If we are elected, I think we will. But now do not have enough time. We checked your current official website https://tronone.com/ is in Chinese. Do you have plans to have an English version up so more community can easily learn more about your team’s progress and upcoming activities? Yes, you are right. We will update the English version soon. Will you have any future activities specifically to promote this TRON SR event and let more user know about Dream From TRON? Like live stream, or physical talk events that you seemed to be pretty good at? Yes, we are keeping on the stream and physical talk every week, no stop. On Monday evening there will be a famous blockchain doctor on our stream, his name is Hanfeng. 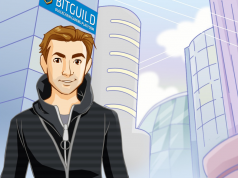 he is visiting researcher at Columbia University now and wrote 2 books already on blockchain. We will talk together. Six cities. So it’s a 10 days trip. We will see and communicate with the fans of blockchain and Tron. Tronics support or not for us, depending on their estimate. And we do ourselves well. We do culture construction and we have a top team on technical strength. 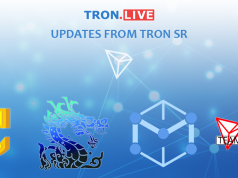 Since joining Tron SR, we have many new friends, and happy more than before. We are IN this industry now, not only buy coins like before. Blockchain world is wide, sometimes I am also don’t know how to do. Anyway, the choice is we make ourselves, the way is we like, Tron is good, just keep forward. Tomorrow is full of the image. Any last words for the community? Ready Support TRON be the Top One.